Investors are hurting from Deutsche Bank's share price collapse, none more so than Qatar. The wealthy Gulf state bought into the struggling German lender back in 2014, when it injected 1.75 billion euros ($2 billion) in return for about 60 million shares. Those shares are now worth just 624 million euros, or about 1.13 billion euros ($1.3 billion) less than Qatar paid. The stock has fallen more than 50% in 2016, and 17% this month alone. Fears about the bank's ability to make money, and whether it can afford a looming U.S. fine for selling toxic mortgages a decade ago, have sent investors running for the exit. Related: Does Deutsche Bank need a bailout? Not Qatar, however. 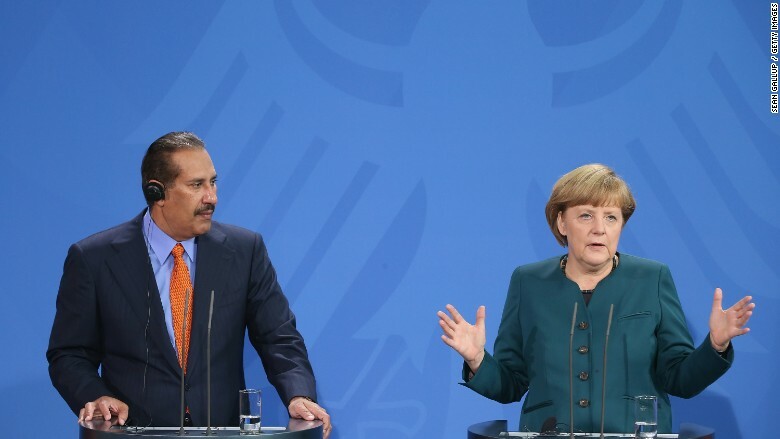 Former prime minister Sheikh Hamad bin Jassim Al Thani, who owns the Deutsche Bank (DB) shares via two Caribbean-registered investments firms, increased his stake in 2015, and again a few months back. That made him the biggest single shareholder ahead of Blackrock (BLK). The bank revealed in July that the Qatari's firms -- Paramount Services Holdings and Supreme Universal Holdings -- each owned just under 5%. 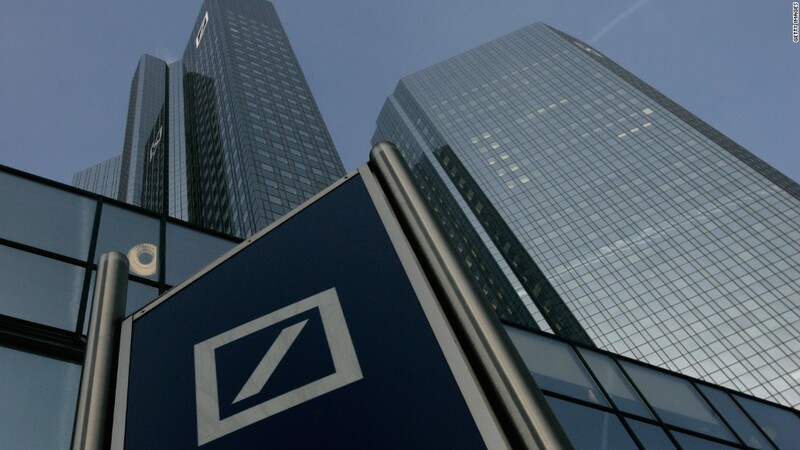 "We are pleased that our Qatari shareholders are banking on the success of Deutsche Bank as shown through their long term holdings," said Paul Achleitner, Deutsche Bank chairman, in a statement in July. In return, Al Thani got to nominate a director to Deutsche's supervisory board. But Qatar's loyalty is costing it dearly. It's not clear how much the Qatari royal paid for the additional shares he bought in 2015 and earlier this year, but the stock has been sliding constantly, and accumulated losses on the holding could be closer to $2 billion. Oil and gas rich countries in the Middle East have been investing their wealth in global companies and banks as part of a strategy to generate alternative streams of income. Qatar came to the rescue of Barclays (BCS) during the global financial crisis, injecting billions of pounds and helping the British bank dodge a government bailout. It's still the biggest shareholder with about 6%. It's also a top three investor in Credit Suisse (CS). All three banks are hacking away at costs and overhauling their businesses. But it may be a very long time before Qatar sees any return on its investment. Barclays stock is down 25% this year, and Credit Suisse has lost 40%. The Swiss bank's CEO Tidjane Thiam was reported to have told a Bloomberg conference earlier this week that European banks are "in a very fragile situation" and "not really investable as a sector." Deutsche executives must be hoping Qatar doesn't share that view. They may need to ask it again for help.